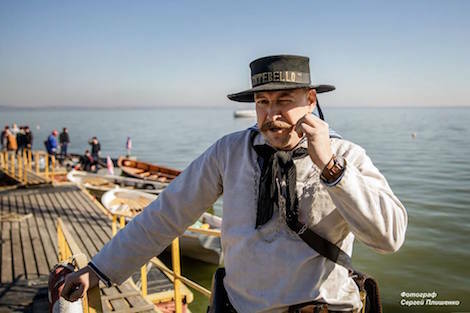 Third edition of "Defense of Taganrog in 1855" festival held in Taganrog. 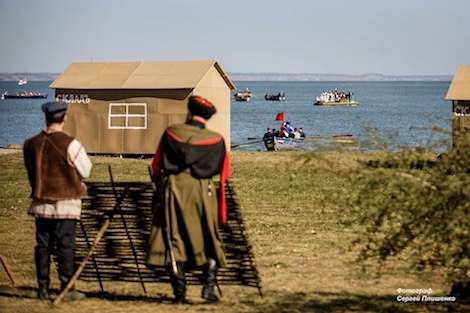 October 10, 2018: the third edition of "Defense of Taganrog in 1855" festival and a large-scale Crimean War reenactment were held in Taganrog on October 5-7, 2018. The event was initiated by two aldermen of Taganrog City Duma - Mrs. Yelena Sirota and Mr. Gennady Borodin. Its first edition was held in late May 2016. Reenactors and enthusiasts from Republic of Belarus and several Russian cities came to Taganrog and were housed in historic buildings of the 18th century barracks. Among participants were also cossacks of Taganrog district, cadets of Georgy Sedov college in Rostov-on-Don and Tambov Cadet Corps, who tried to recreate historical realities of that time. Just before the start of the main events of the festival, a historical quest game dedicated to the events of 1855 was held. The morning started with a public prayer at another site that witnessed the bombardment of the allies - St. Nicholas the Wonderworker church. During numerous attacks in 1855 this building was shelled by British and French warships. The cannonballs that were stuck in its walls were discovered during one of the renovations and were purposely left for display. Representatives of Taganrog Local Government, reenactors, citizens and visitors of the city gathered in front of a monument to defenders of the city that was erected near the church 12 years ago. Museums and libraries of the city offered festival guests numerous activities and exhibitions. The main event - rout of the allied landing was traditionally staged on Pushkin Embankment near the actual landing places of the British and French on June 3 (May 22 Old Style), 1855. The reenactment program included a historical dance workshop, screening of historical and documentary films dedicated to the Crimean War and the city of Taganrog, an old-fashioned fair entitled "The Old Southern Town", a historical costume contest, a ball and a fireworks show.